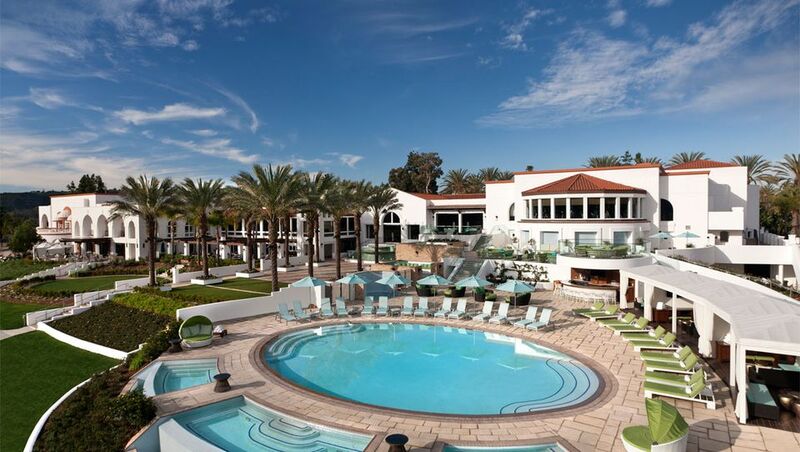 The American resort spa was born in 1965 when La Costa Resort and Spa near San Diego opened. La Costa had a great golf course, swimming pools, tennis courts, volleyball courts and a state-of-the-art spa with his and her gymnasiums, steam rooms, and more. It was a place where the whole family was welcome and everyone could go their own way — Dad on the golf course, kids in the pool, and mom in the spa. Celebrities like the Hollywood elite and sports stars flocked there, and it was a huge success. La Costa borrowed the idea of having a spa from its highly successful neighbor, Golden Door. But where Golden Door was a dedicated spa where wealthy women went to eat light, exercise and lose weight, La Costa’s spa was another amenity in the resort where the whole family was welcome. It really set the standard for the modern resort, where spas are considered a must-have. The movement was so successful that urban hotels and small inns with spas now call themselves “spa resorts”. Even destination spas are now calling themselves “spa resorts” because it’s more highly searched term on the internet. So it’s more important than ever to do your research and find out if a specific property is offering the experience you want. It’s good to understand the classic distinctions between a resort spa and destination spa, even though they have blurred in recent years. The classic resort spa is one more amenity in a setting that also offers golf, tennis, swimming, kids clubs, gyms, and sometimes a full schedule of exercise classes. Generally, you pay for everything separately — accommodations, meals, spa treatments, even exercise classes, though sometimes they are complimentary. At the spa, you can get massages, facials and body treatments, and have access to all the facilities, which tend to be lavish than a day spa. There might be healthy offerings on the menu and a spa cafe, but at a resort spa you can eat a 20-ounce steak and polish it off with a pitcher of martinis if you want to. You’re there to have fun and relax, not necessarily grow and get healthy. The spa is usually open to locals who want to book a treatment. Destination spas like Golden Door, on the other hand, offer an all-inclusive wellness experience where accommodations, healthy cuisine, exercise classes, hikes, lectures and personal enrichment activities are all part of the daily rate. They’re friendly for the single traveler, who might feel a bit lost in a huge resort spa centered on families. The spa may not be open to local visitors on a daily basis. At resort spas, you usually pay for your spa treatments a la carte instead of having them as part of the total package. The resort spa may or may not offer classes like yoga, and the selection is usually much more limited than at a destination spa. There are a few exceptions. The Spa at The Boulders and The Spa at Camelback Inn in Scottsdale are two excellent resort spas that offer a fairly deep schedule of classes, free for anyone getting a treatment at the spa. Resort spa restaurants generally offer spa cuisine, but their real forte is the rich food that most people like to order when they’re out on the town or having a special night out. Spas are the new must-have amenity at resorts and hotels, so almost everyone says they have a spa. It’s important to do your research before you go. You don’t want to find out what the hotel is calling a “spa” is a hot tub or one treatment room off the gym. Large resort spas will have a wide range of activities, including golf, swimming, tennis, and sometimes water sports, horseback riding and skiing. Some also have kids’ camps. Resort spas do not include meals. Keep that in mind when you compare prices with destination spas. You may have to pay anywhere from $15 to $25 for yoga or other exercise classes at resort spas. Classes at destination spas are included. Many resorts have kids’ camps. Health spas don’t allow children. Look for updates and current amenities. Older resort spas, built in the nineties, tend to be smaller and not so “over the top”. Newer resort spas tend to be bigger and more lavish. A hotel spa is generally in an urban setting and lacks all the outdoor amenities. It can range from the splashy, over-the-top-spas in Las Vegas to elegant, sophisticated spas like The Mandarin Oriental in New York City. One person wants to go golfing, the other to the spa. You want to eat — and drink — whatever you want. You’re a business traveler who needs a massage. You want to jumpstart a diet or healthy lifestyle. You want to be with like-minded people. You need to address specific health issues. You want to be nurtured after a loss.